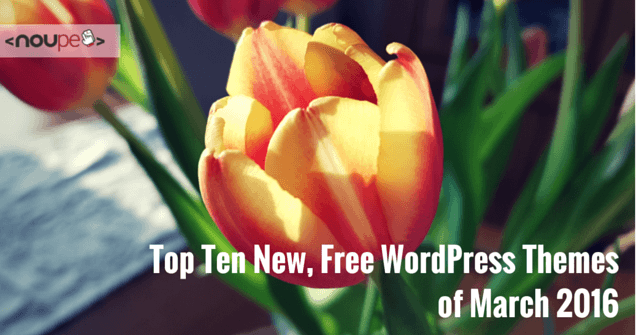 WordPress is the most popular content management system of them all. The main reason for that is how fast it can be adjusted to its users needs. A boring design that you don’t want to look at any longer is gone within seconds. You can install and customize a new theme fast and easy, giving your website an all new and fresh look. And to allow you to do just that, I searched through the theme index once again, bringing you the most interesting and beautiful themes of this month. 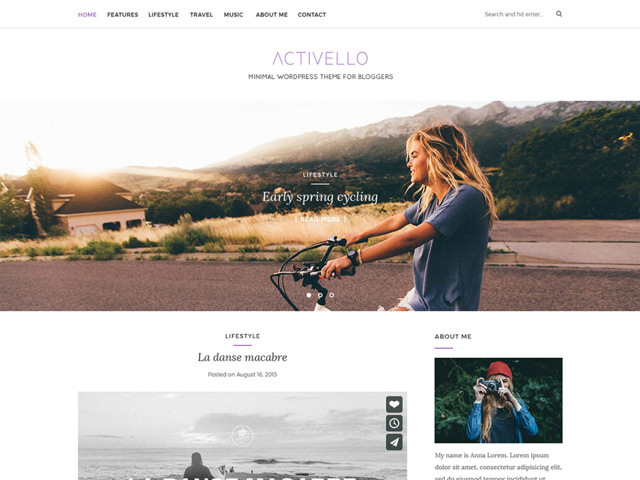 Activello is the right theme for any private blog, as its design is appealing and tender. It can also be extended to become a shop, as it’s prepared for the popular WooCommerce plugin. The eStore theme is one of the most appealing free shop themes on the market. It comes with everything the heart desires, including ten additional widgets, a slider, and preparation for the new »YITH WooCommerce Wishlist« plugin that can create a wishlist for WooCommerce. Happenings is touted as an event magazine for music events or similar things. However, its functionality labels it as more of an individual blog theme. It seems to fit in this area perfectly. Dyad is the new theme by Automattic, the company behind WordPress. Its design is unique and appealing. You can use it well for private blogs, portfolio websites, restaurants, cafes, and other websites that like to combine photos and text. LiveBlog is another blogging theme. 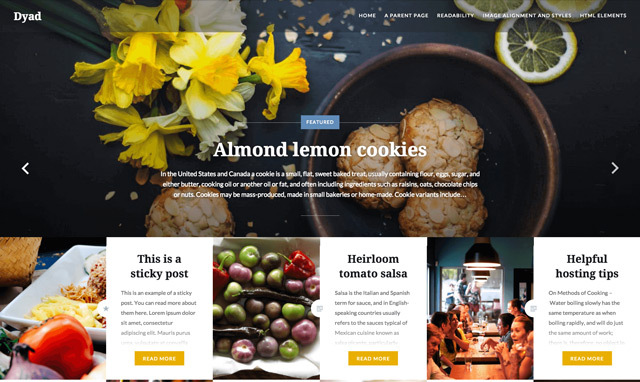 The theme is suitable for professional blogs, as it provides a slider, customizable colors, different header styles, and is prepared for ad banners. 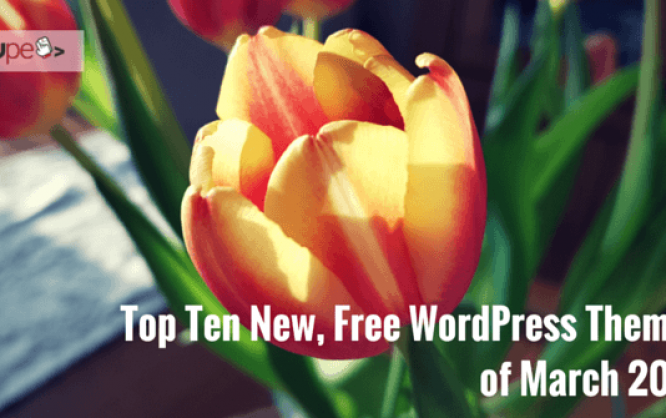 A close look at the theme is well worth it for (semi-)professional bloggers. 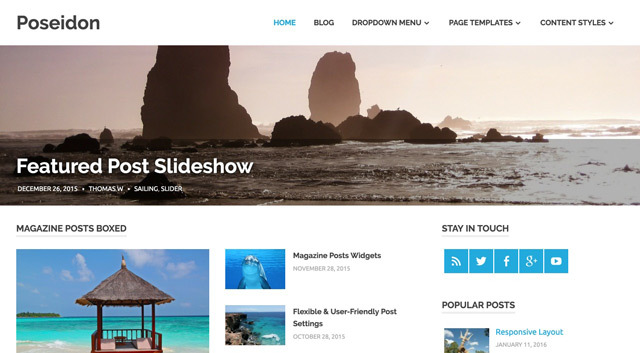 Enliven is a so-called multi-purpose theme. It can be used as a business theme, but using it as a portfolio works just as well. Private blogs are also possible options. It comes with seven widgets and allows you to easily adjust many things via the Theme Customizer. Here, you’ll get an elegant, appealing theme for your business. Llorix One Lite is a one-pager. It’s used for the presentation of brands and has no functionality outside of that. WEH Lite is an appealing blog theme with a unique slider. However, you can also use the theme for other purposes, like a magazine or a photography website. Latte is a one-page parallax theme for designers, developers, and freelancers. It comes with many customization options, all of which can be set using the Theme Customizer. Latte could be the right theme for you if you’re a freelancer that wants to present his profile as detailed as possible. Poseidon sees itself as a magazine or news theme, and comes with a ton of features. The template for the landing page is fully customizable. Content can be displayed the way you want it to be. Some unique widgets are also included.